Wire mesh, also known as wire cloth or wire fabric, is a versatile metal product that can be used effectively in countless applications globally. Popular uses for wire mesh include stainless steel wire mesh for filters, steel wire mesh for partitions, and PVC wire mesh for machine guards. From industrial to commercial applications, wire mesh is a common metal product that is used by many daily. Whether you’re looking for a lightweight material like aluminum mesh or a heavy-duty material like stainless steel, you’ll find it here at Direct Metals. To view a description of each material type available, such as aluminum mesh, click on the Wire Mesh Material Types PDF below. Welded wire mesh consists of perpendicular wire strands that are resistance welded at each intersection. 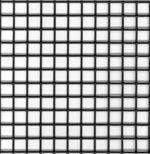 Our welded wire mesh is both economical and versatile and has a clean appearance and uniform grid patterns. This product can be made in many materials, such as steel, stainless steel, and galvanized steel. 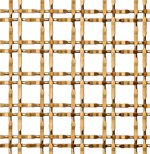 Woven wire mesh is woven to size in the same way cloth is woven on a loom. The most common materials used to create woven wire mesh are carbon steel, galvanized steel, stainless steel, and aluminum. Our wire mesh stainless steel filters are useful in a variety of applications that require a variety of openings. 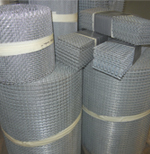 These wire mesh filters can be used in conjunction with perforated metal and expanded metal. Stainless mesh is ideal for filtration used in adverse environmental conditions. We fabricate custom made to order stainless steel filters of varying sizes in single or multiple layers of woven stainless steel wire mesh. The stainless steel weaving styles that are available include plain, twill, plain dutch, and reverse dutch twill weaves. 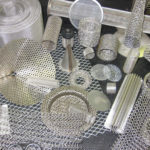 These wire mesh items can be stamped to size, sintered, soldered, welded, and rolled to size. Perfectly suited for a wide array of architectural and functional purposes, our stainless-steel screen is used in various industries. The petroleum, chemical environmental protection, mining, aerospace, papermaking, electronic, metallurgical, food and pharmaceutical industries all utilize stainless steel screen. Hardware cloth is wire mesh that consists of either woven or welded wires in a square or rectangular grid. 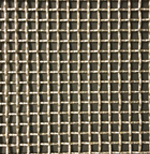 Hardware wire cloth mesh is available in galvanized steel, stainless steel and bare steel. It is typically used for bird & rodent control, filter media backing, machine guarding, security screening, and many other outdoor applications. PVC coating is relatively low in cost, resilient, corrosion resistant, and has good insulating properties. 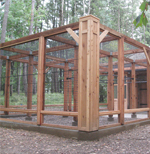 PVC mesh uses range from machine guarding and architectural fencing to both salt & fresh water trap applications. Direct Metals carries PVC coated wire mesh in a variety of materials including carbon steel and galvanized steel. 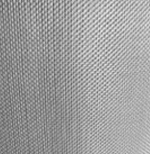 Our architectural wire mesh can be adapted for use in just about any architectural project and is available in aluminum, carbon steel, stainless steel, and galvanized steel. It combines aesthetics and functionality by delivering striking visual appeal, safety, and energy savings. 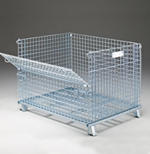 Our cage wire mesh provides a consistent and uniform mesh count for dimensionally correct cages. Direct Metals stocks cage mesh in plain steel, PVC coated steel, galvanized before welding, and galvanized after welding with square and rectangular openings. Hex netting is a twisted steel wire mesh with hexagonal openings. 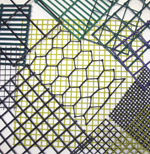 Our hex netting is available in many mesh sizes with a variety of width and length sizes. 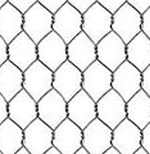 It is a widely used and versatile mesh that can be used for animal traps, chicken coops, insulation backing or other wire fencing for animals. Our wire mesh containers are designed and built for a rugged and long service life, making them ideal for material handling. They are available in a variety of sizes and capacities. Our stackable, collapsible, and rust-resistant galvanized wire mesh containers are durable, portable, self-cleaning, and shippable. 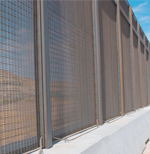 Our security fencing is the ideal solution for prisons, borders, or any facility with high security fencing needs. The welded mesh spacing is designed to prevent climbing. The small openings in the welded mesh fencing resists penetration by normal hand tools, which offers high levels of perimeter protection. 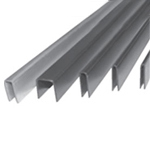 U-Edging is a wire mesh product accessory that is a u-shaped strip attached to the edge of a wire mesh product sheet to make the edges more attractive and safer. It is available in carbon steel, stainless steel, aluminum, and galvanized steel.